*This is performed as singles. 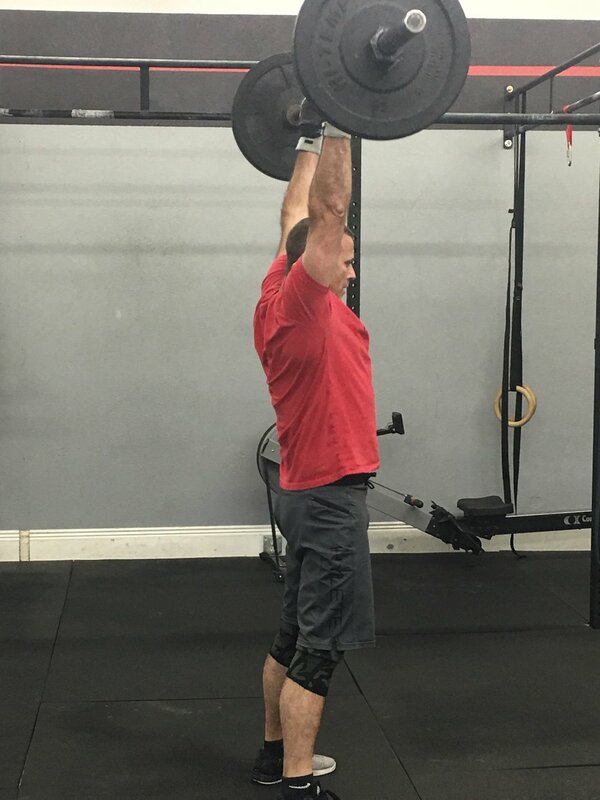 Do the first clean and jerk, drop the bar from overhead, and then do the second clean and jerk. *The 2 reps must be completed in a 0:30 window. Build to max loads in a controlled timeframe. If modifications are needed lower the loading and focus on technique. *Use the same load used from July 30. If you did not do this test on July 30, then use 80% of the heaviest load from part 1. This is a heavy barbell conditioning workout. The pace will be slow, but athletes should attempt to get approximately 30 reps in this timeframe. Reduce the loading to make 30 reps more achievable. Use a power clean and jerk as needed for technique.